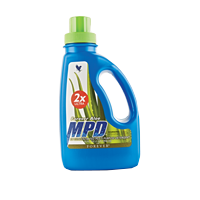 An environmentally-friendly, biodegradable, all-purpose detergent that effectively lifts grime and cuts through grease to remove stains. Its versatile cleaning power can tackle your laundry, floors, bathroom, tiles, carpets and dishes. This highly concentrated formula often only takes a few drops to get the job done. The gentle formula is also kind to hands and clothes. Dilute using 30ml per 5 litres of water to clean appliances, floors, bathrooms, tiles, carpets and cars - inside and out. Household: Gentle on the hands, just a couple of drops on a sponge cleans dishes, removes carpet and other stains.